To celebrate the 30th anniversary of the release of The Jam's last studio album, Universal are releasing a super deluxe edition of the album packed full of extras. It's available in two variants - the 2 CD deluxe edition version which features the original album, the singles and B sides and a disc of demos and alternate tracks; and a Super deluxe edition which contains four discs. The first two are the same as in the deluxe edition, the third is Live at Wembley (Dec. 3rd 1982), and the fourth disc is a DVD with footage from Top of the pops, a Danish TV show, live footage and some promo videos. 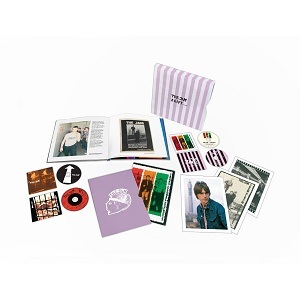 The super deluxe version also includes an outer box in original striped bag style cover – ‘The Jam – A Gift’, a Hardback 72-page, full-colour book including new interviews with Paul Weller, a new essay by John Harris and a forward by Paul Weller, a Set of postcard prints and a Replica 1982 tour programme, making it a very impressive package. It's an impressive package - even the simple two disc version gives you the eleven tracks from the original album plus another 25 tracks consisting of singles, B sides, demos and alternate versions of songs - thats a lot of extra's. The Super deluxe edition is even more impressive but is significantly more expensive. 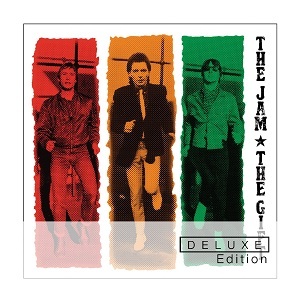 The 2CD version is the same price as most normal CDs - around £13, so is a bargain really with all those extras, whereas the Super deluxe edition is in the region of £80 - still not expensive if you look at what you get with it, but making it only really for the more dedicated fans of The Jam. The original album still sounds great, and of course includes the song "A town called Malice", one of the bands best known songs. There's some great stuff in the extras including a great cover of the Motown song originally recorded by Edwin Starr - "War". The live CD is great too and if you can afford the super deluxe version then this CD certainly makes it worth going for. A great reissue - a classic album plus a huge amount of extras makes this well worth buying.